Well, well, look at what we have here – another device all dressed in a pristine white paint job! 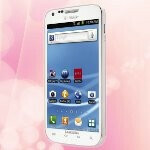 Actually, we’ve known since last month that T-Mobile was going to get the all-white version of the Samsung Galaxy S II, but we weren’t given an actual release date, instead, we were simply teased with the notion of it arriving in time for the holiday. Thankfully, the wait is finally over, which should be especially good news if you’ve been holding out for this specific version of the beloved smartphone. 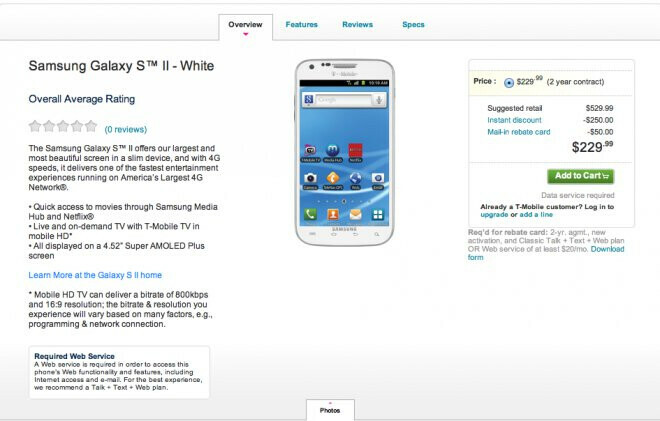 Today, you can actually point your web browser over to T-Mobile’s web site and place your order for the white T-Mobile Samsung Galaxy S II. Unlike the white version of the Motorola DROID RAZR, this one is actually doused entirely with the new color – making it one attractive handset that’s sure to catch some eyes. When it comes to pricing, it’s still sporting the usual $229.99 on-contract cost like the standard black version. Well, don’t make the mistake of expecting to see it in a T-Mobile retail store, that’s because it’s only being sold via T-Mobile.com, Telesales, and Customer Care. White is cool.. but I don't like the fact that the Tmobile version of Sg2 employed the snappdragon 1.5ghz instead of exynos 1.2ghz.